In 1940, Malta found itself at the heart of a raging battle between Allied and Axis powers for naval control of the Mediterranean. Eric Groves asks why the Allies invested so much effort in defending the island. In 1940, in the early months of World War Two, Malta had been the centrepiece of Britain's strategic naval position in the Mediterranean for almost a century and a half. There were, however, serious doubts over its continued status as such. The power of the Italian Air Force cast its shadow over the island, and it was considered that no longer could Malta provide the main base for Britain's Mediterranean Fleet. It was therefore decided that this would henceforth have to operate from Alexandria, in Egypt, leaving the French Navy to dominate the western Mediterranean. This was not to be, however, as in May 1940 the French signed an armistice with Germany, thus obliging Britain to replace French power in the area with 'Force H' at Gibraltar. And soon the defence of Malta itself against Axis attack became a major role for both British naval squadrons. The Italian Air Force was not in the end as powerful as it had seemed at first, and the Italian Navy was not able on its own to prevent the movement of Allied shipping in the central Mediterranean. Consequently, a small number of British fighters, first of all a handful of Sea Gladiators taken over by the RAF, and then a larger number of Hurricanes, were able to limit the extent of the air attacks both on Malta itself and on Allied shipping. 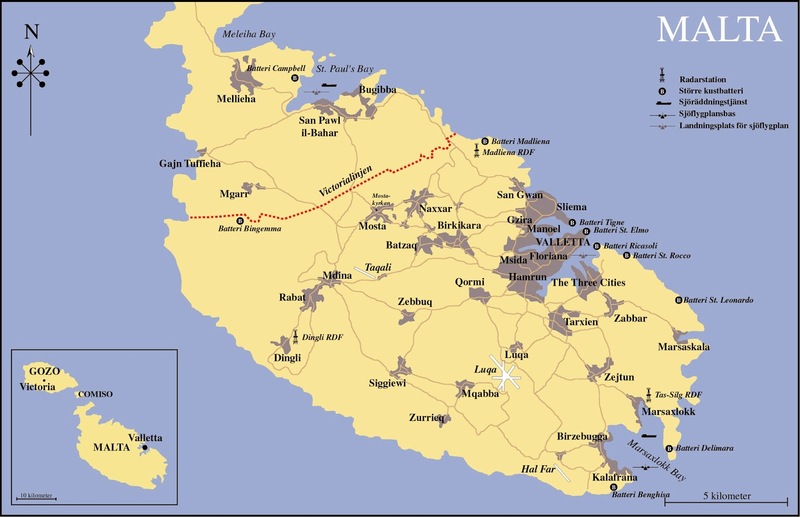 Malta thus held out, and became a base from which Axis supply lines to North Africa could be interdicted by Allied air, submarine and surface forces. In early 1941 Germany again tried to bomb the island into submission, and almost succeeded, but in the summer the Luftwaffe was called away to more pressing business in Russia. At the same time Italian cyphers were penetrated by the Allies, and the information gained in this way helped Malta-based aircraft and submarines to claim more successes against Germany. Rommel, the German commander in North Africa, had good cause to be worried. Despite their successes, however, Allied aircraft and submarines could not inflict sufficient damage on Axis forces to hamper them significantly. This required surface naval forces, as Churchill quickly realised. So quite soon Force 'K' was established, with the cruisers Aurora and Penelope and destroyers Lance and Lively. The ships came together at Valetta on Trafalgar Day 1941, commanded by Captain WG Agnew. In November they destroyed an entire German convoy of seven merchant ships, along with an escorting destroyer. Three more destroyers were also damaged, one of them being finished off by the submarine Upholder. At a single stroke Force 'K' had knocked out the equivalent of half the supply line of the enemy's North African armies. The Italians suspended convoys and announced that Tripoli was 'practically blockaded'. With their forces in North Africa under pressure as a result of the 'Crusader' offensive, the German High Command insisted that further supply ships should sail in place of those lost, but Force 'K' effectively dealt with them. In the light of this success, Churchill prodded the Commander-in-Chief in the Mediterranean to reinforce Agnew with another force of two light cruisers, Ajax and Neptune and two 'K' class destroyers, with the result that, in November, the Axis supply route suffered over 60 per cent losses. Only 30,000 tons of supplies were delivered to German forces in North Africa, and British code breakers were gratified to hear reports of a real danger from fuel shortages for the enemy. In December, Axis aircraft in North Africa could only fly one sortie per day, and Rommel was forced to retreat to shorten his supply lines. The tide soon turned. In December 1941 the Malta striking force ran into a minefield off Tripoli harbour. The cruiser Neptune and destroyer Kandahar were sunk, and Aurora was damaged. The convoy they were after got through, and its cargo allowed Rommel to be successful in the offensive that retook Cyrenaica in early 1942. 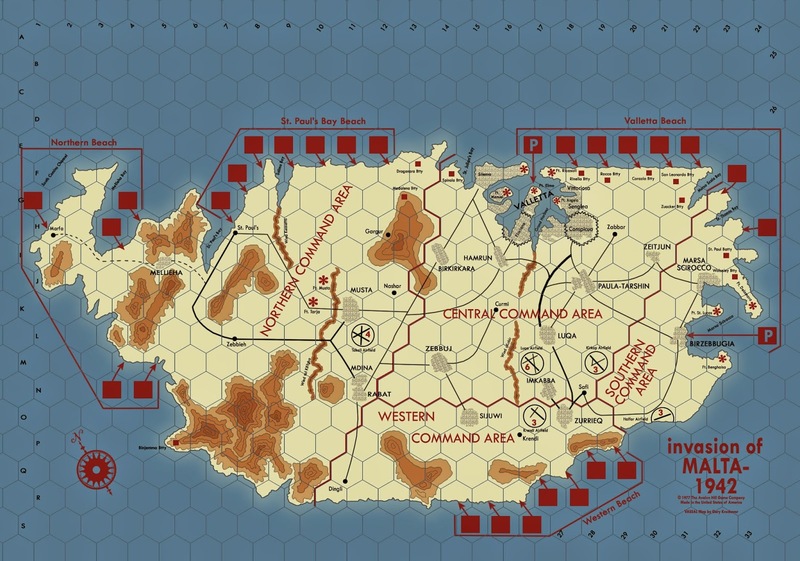 In January, Hitler ordered the setting up of a new Luftflotte 2 command on Sicily, to combine Fliegerkorps II and X to command the waters around Malta and in the eastern Mediterranean. The second air siege of Malta began. British forces in the Mediterranean suffered other serious losses at the end of 1941. German U-boats sank the battleship Barham in the east and the carrier Ark Royal, which had helped keep Malta supplied with aircraft, in the west. Italian human torpedoes in Alexandria harbour disabled the last two Allied Mediterranean Fleet battleships. Agnew now only had cruisers to cover his supply convoys. Axis aircraft were the major threat, and they devastated the next attempt to bring in a major convoy to Malta from the east. When the next convoy was run, in March 1942, the cruisers succeeded in holding off a vastly superior Italian surface force in a brilliant action off Sirte - but Axis air forces still prevented anything more than 7,500 of the 26,000 tons of supplies embarked at Alexandria from being landed at Malta. And the naval supply ship Breconshire, which had made several runs to supply the island, was sunk. In order to defend the island from the Axis air offensive, Allied fighters continued to be flown in from the west. In March 1942 the British carriers Argus and Eagle flew in the first Spitfire Mk Vs, and in April the American carrier Wasp delivered more, but the Germans succeeded in destroying most of them - either on the ground or in the air. In May Wasp and Eagle flew in almost 80 Spitfires, and the following month Eagle delivered 55 more. Then the Luftwaffe was diverted in order to support Rommel's further advances in North Africa, and the number of sorties flown by Fliegerkorps II against the island reduced from 8,788 in April to 956 in June. The tide really began to turn in July, however, with the appointment of Air Vice Marshal Sir Keith Park as air officer commanding. 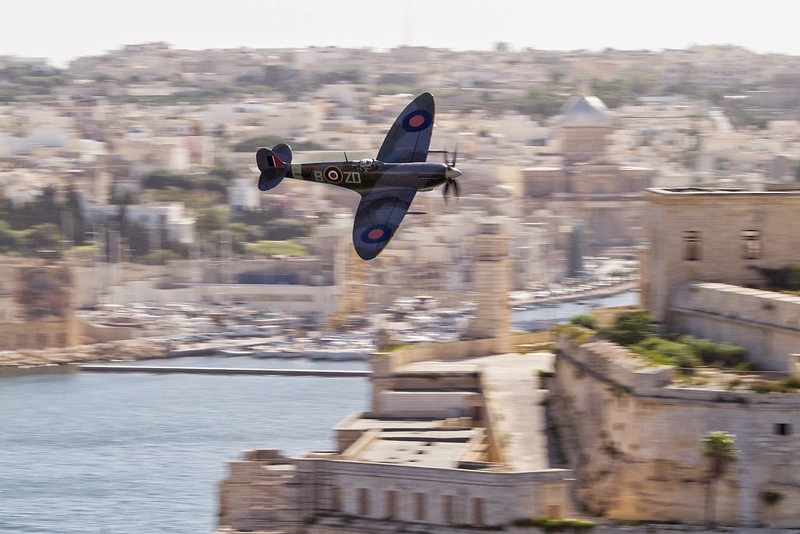 He changed the way in which Malta's fighters were used, repeating his successful Battle of Britain tactics of intercepting enemy raids as soon as possible, on their way to the target, rather than waiting to mount massed attacks on them as they retreated. Losses to the Axis attackers, reinforced by aircraft transferred from Russia, immediately increased, and British losses fell. But the Allied Spitfires needed fuel to fly, just as Malta itself needed supplies. In June Operation 'Vigorous', an attempt to bring a convoy in from the east, failed - in the face of air attacks from the extended network of Axis airfields in North Africa. With their escorts' ammunition stocks seriously depleted, the ships were obliged to turn for home. Another convoy, this time from the west, called 'Harpoon', only managed to get two out of six ships through, and Park told London he had only seven weeks fuel left. In August, therefore, almost all the available strength of the Royal Navy was put into the major convoy operation of the war, 'Pedestal'. The rest of the naval war almost came to a standstill, as fourteen merchant ships were sent on their way to Malta, covered by three aircraft carriers (with a fourth ferrying Spitfires), two battleships, seven cruisers and twenty four destroyers. The Germans and Italians, fearing an invasion, put in an equally huge effort against the convoy. First a U-boat sank HMS Eagle, then the destroyer Foresight was hit by an Italian torpedo bomber (and eventually had to be sunk). A merchant ship was sunk by another torpedo bomber, and the carrier Indomitable was heavily damaged by three bombs before the heavy covering force turned westwards, leaving Rear Admiral HM Burrough with four cruisers and a dozen destroyers to shepherd the remaining merchantmen to Malta. 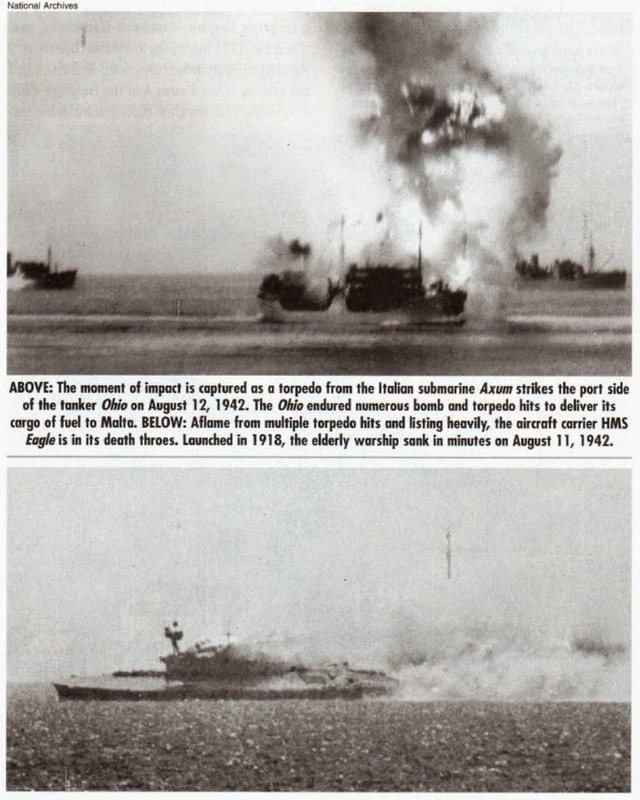 The Italian submarine Axum then succeeded in torpedoing the cruisers Nigeria and Cairo, sinking the latter and causing the former to turn back. The loss of these two cruisers, with their specialist equipment, prevented adequate fighter direction and opened up the convoy to air attack. The cruiser Kenya was damaged by an Italian submarine, and then the cruiser Manchester was damaged by an Italian motor torpedo boat, in such a difficult situation that her captain felt forced to scuttle her. The fatal mix of aircraft, submarines and motor torpedo boats sank merchant ship after merchant ship until only three were left to sail into Grand Harbour. Another two, most notably the heavily damaged tanker Ohio, carrying Park's precious fuel, remained afloat and arrived later. Malta was now enabled to play a key role in the Mediterranean campaign. After the loss of the surface striking forces, its effect on Axis supply lines had been, at best, marginal. There were always more supplies at Tripoli than could be transported to German troops at the front. Indeed the effort put into supplying Malta was disproportionate. As historian Correlli Barnett has argued, the island had become the Verdun of World War Two, drawing Allied forces into a debilitating battle of attrition. Having been awarded the George Cross as a propaganda gesture, the island of Malta could not be allowed to fall as Singapore had done. Indeed the North African campaign was being fought in 1942 as much to sustain Malta as vice versa.